Every business deals with contracts. The usual way of dealing with them is to print them off, sign them, scan them, and email them back. But this leaves a lot to be desired from a compliance and legal perspective. It can also present issues if emails get lost, parts of the contract aren’t signed properly, or the contract is challenged legally. A digital document signing and management service like PandaDoc can solve all of these tricky issues. The general resistance to digital signatures has to do with the fact that their legal acceptability is fuzzy in the mind of the general public. For lawyers, the legal logic behind them is irrefutable. 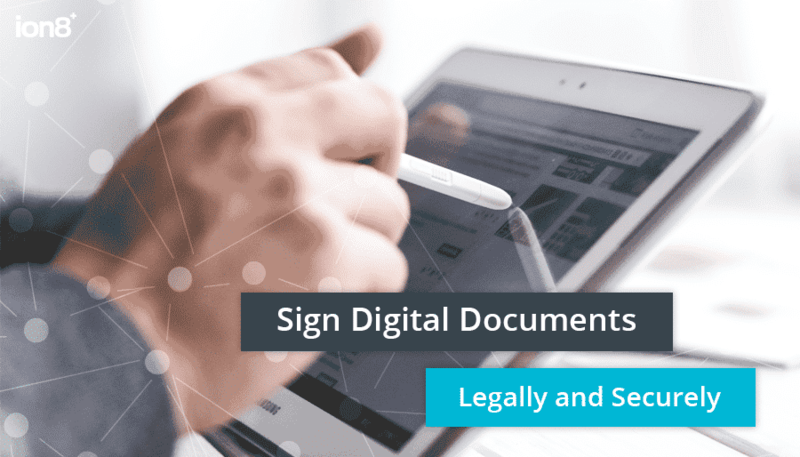 In the US, the Federal E-Sign Act of 2001 made digital signatures legal, and they’ve been legal ever since. A digital signature comes with a timestamp, and usually other methods of digital identification which show where it was signed, where it was sent from, and much more. In effect, a digital signature has more documentation behind it than a paper signature, as those don’t come with timestamps or provable “where it was signed” information beyond the place written in beside the signature. There are many players in the digital signature market. Docusign and Adobe Sign (formerly Echosign) are two of the biggest names, but our preference is a newer service called PandaDoc. While it has all of the features of Docusign and Echosign, where PandaDoc really shines is integration. It integrates with all major Customer Relationship Management (CRM) solutions, as well as Google Apps. It was also built with compliance in mind to meet all regulatory and privacy requirements. Contracts can be created within your CRM or Google Apps and uploaded and sent through PandaDoc, or you can create everything through PandaDoc if desired. PandaDoc also offers secure document management, which means if your usual solution is down for some reason, you can always log into PandaDoc to find contracts, estimates and proposals that you’ve created before. And, as with other services, your clients can always see current and past contracts and estimates. While it is purpose-built for sales teams, any business unit can use it. While it is similarly priced to other options, it offers more features than they do. The integration alone is worth choosing PandaDoc for, since your important contracts get automatically pulled into your CRM. If you’re interested in getting set up with PandaDoc, contact ion8 and we’ll get you started with easy digital document signing and management. Do You Have a Zombie Website? Give it Brainnnnssss…. Is Your North American Business GDPR-Ready?